Welcome to my brand new website and my first ever blog! Huge thanks from me to MacAmbulance for the design, build and implementation of the platform and Nick Ford for the bespoke photography. I must tell you that I love what I do. I find it hugely rewarding to be helping people overcome problems that they have been living with for some time or addressing new issues that have come out of the blue and suddenly make life seem overwhelming. During sessions, I see people’s faces change from crumpled to smooth. Their demeanours from hunched to relaxed. I witness that heavy weight they describe being lifted from their shoulders. I identify with so many feelings and experiences that come with dealing with life and its sometimes painful twists and turns, and I also identify with needing to employ certain strategies and tools to function in a happy and meaningful way. Dealing with life doesn’t always come instinctively. Sometimes we need help to identify the root causes of our problems, make appropriate decisions and changes and move on in an effective way – and not take too long about it. Feeling anxious, depressed, dissatisfied, not in control, not knowing what to do for the best, all this is often part of life’s rich pattern and some of us have bigger chunks of that pattern to colour in! At times like these, asking for professional help is a GOOD thing. Nothing to be ashamed of. It is demonstrating inner strength. Not attending to things that are holding us back, continuing to practise bad habits, feeling less than, letting other people’s negative or damaging behaviours affect our spirit, and pushing things to the back of our minds expecting them to go away isn’t going to work. So we either live dysfunctionally, or do something about it. The thing is, having talked to clients and from my own experience, I know that doing something about problems often isn’t as scary as we thought, particularly if we find the right people to get involved with and who can provide precious guidance and support. Of course these people have to be trustworthy. Working with professionals like me who are interested in you and are trained to be objective and competent in finding solutions is a smart thing to do. Family and friends can sometimes be there for us but often they cannot emotionally detach. Sometimes for their own reasons they don’t want to support us. Sometimes their intervention or lack of it can confuse and bewilder us and anyway it’s not just about support. It’s about self-improvement, taking charge of our lives. This is why working with somebody who we can trust and open up to without fear of judgment is so important. It might take guts to take the first step to change and the next ones too, and knowing and accepting that altering entrenched habits is on the agenda can be unsettling, but for me, each and every time I have taken that leap of faith, taken a deep breath and jumped in, it has been well and truly worth it. In my experience and the experience of clients I have worked with, thinking about it all, sitting with the fear, is much worse than actually taking action. Often we might think “why didn’t I do that earlier?” when we have achieved something or overcome a difficulty. We all have our time presented to us to attend to matters and we shouldn’t let them pass. Don’t miss out on opportunities. You never know till you try. I love the saying “The teacher will appear when the student is ready”. The student shouldn’t hang around doing nothing for too long though, lest the teacher moves on to more willing participants. It wasn’t always the case, but these days I am so passionate about making the most out of life. I get involved in activities that had I been told years ago I’d be doing now, I’d have had a hard time even trying to believe it. I now know absolutely that lifestyle changes can be so instrumental to living a healthy and fun life. Taking on challenges, meeting amazing likeminded people and encouraging people to “just do it” like I do makes me feel incredibly fortunate that I open my mind and heart to opportunities. This does mean however that I have a bad case of FOMO! (Look it up if you don’t know what that means. I did! ). 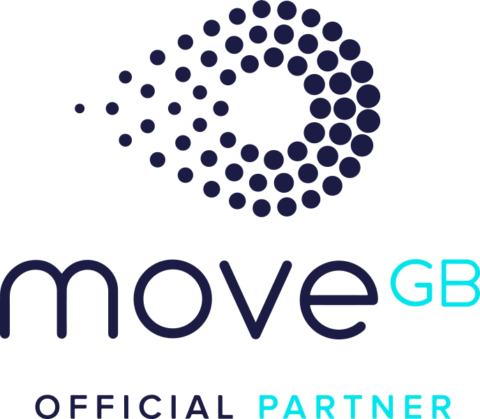 One such opportunity that came along resulted in me becoming a partner of MoveGB. As I advocate hypnotherapy and life coaching as very useful tools to help with fitness and wellbeing motivation, I asked this countrywide fitness organisation if I could join up with them as a complimentary service and they said yes! I nearly let that opportunity go by due to a little touch of shyness and momentary lack of esteem. I’ll be writing more about how this relationship came to be on future blogs, so look out for more on that and other subjects. Thanks for taking the time to have a read. Do get in touch if you’d like to know more.